Search for property in the Tankerton area. Kent Estate Agencies Tankerton and Whitstable offices enjoy "Protected" status as a member of the National Association of Estate Agents that is able to meet the high standards required, providing buyers and sellers with access to professionally qualified advice, combined with estate agency experience. Caroline is determined that Kent Estate Agencies remains the No.1 office for Customer Satisfaction in Tankerton. See Independent Customer Reviews on www.kea.org.uk for further details. With over 11 years experience in estate agency David has a passion and drive to deliver top customer service to all his clients, be it first time buyers through to seasoned property developers. David, who is qualified as an Associate of The Guild of Professional Estate Agents, built his experience spending 11 years working in the busy London property market and after being introduced to the East Kent area by his partner, David fell in love with the area and made the move to the coast. In David’s spare time he enjoy walking his dogs, watching films and using his own drone. Alfie enjoys helping buyers find their perfect home and his qualified membership status of The Guild of Property Professionals which he has taken to the next level with the enhanced training scheme combined with his enthusiastic approach assists him in providing a high standard of Customer Service. In his spare time Alfie enjoys going to the gym and technology. Jordan is qualified as an Associate of The Guild of Professional Estate Agents and his adaptable and hardworking approach makes him a great member of the Tankerton team. In his leisure time Jordan enjoys fishing, reading and keeping up to date with latest technologies. 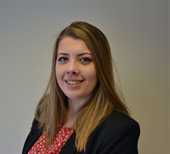 Megan, who is qualified as an Associate Member of The Guild of Property Professionals, uses her customer focused work ethic to provide a high standard of Customer Service. In her spare time Megan enjoys travelling, spending time with family and friends and swimming.